A leader in the banking industry, Bank of America provides financial products and services for their customers and clients throughout the United States. This reputable bank is guided by a common purpose which is to help make financial lives better by connecting clients and communities to the resource they need to be successful. Building on a tradition of excellence in community banking that stretches back to 1872, BB&T continues to offer clients a complete range of financial services, including banking, lending, insurance, trust and wealth management solutions. We invite you to learn more about them and their commitment to their clients. First-Citizens Bank & Trust Company has been providing personalized financial services for more than 100 years. This state-chartered commercial bank is the largest family-controlled bank in the United States that help people from all walks of life. Since 1898, First Citizens has been offering wealth management, insurance, treasury services, leasing, and more. It has 500 branches in 19 states. Incorporated in 1937, State Employees' Credit Union is a state chartered credit union which member deposits are insured by National Credit Union Administration (NCUA) of the US federal government. It is the second largest natural member credit union in the country both in membership and asset size. It assists members in various financial matters such as savings, consumer loans, credit cards, mortgages, and more. LendingTree, Inc. is an American company that operates an online lending exchange that connects consumers with multiple lenders, banks, and credit partners who compete for business. LendingTree is not a direct supplier of loans; it is instead a broker. Since being founded in 1998 LendingTree has facilitated more than 65 million loan requests. It is headquartered in Charlotte, North Carolina. McNeill & Company is an electrical products and components manufacturer representative in Charlotte, NC, covering North Carolina, South Carolina & Virginia. We build futuristic robots and drones, that are light years ahead of our competition. We also construct innovative technology for the auto industry. Established in 1946, Guilford is the textile solution for leading OEMs around the world. It is one of the world's leading producers of textile composites with flame, adhesive, and flatbed lamination capabilities. The company operates world-class facilities in North America, Europe, and Asia enabling them to support the customers around the world. Today, Guilford has more than 20,000 employees with sales and support offices worldwide. WC Rouse & Son is your single source for boiler room solutions! Built on a heritage of over 70 years, they combine a best of breed product line, in depth knowledge and an expert service team that spans the Carolinas. They can tailor a boiler room solution to meet the unique needs of your operation. Compression has never felt so comfortable. Stylish microfiber knits in 15-20, 20-30 and 30-40 compression for everyday wear. Pinehurst Medical Clinic provides primary and specialty care to Moore County, North Carolina and surrounding areas. We serve patients with compassion. Based in Charlotte, North Carolina, are dedicated to providing professional services to their clients. Founded in 1972 by J. Ralph Stump, and today operated by his two sons. Get great rates on auto and home loans, checking, savings and investments in Plymouth, NC. Visit the Weyco Community Credit Union website to learn more. If you live in Wilson NC, or any other part of North Carolina and are looking for a better insurance experience, Hackney Agency is the only number you need! B&S Enterprises is a family owned and operated agricultural and lawn & garden company, as well as a full service dealership offering the complete product lines of Case IH and Cub Cadet equipment. North Carolina Farm Bureau is a not-for-profit farm organization whose goal is to be a voice for farmers and rural people across the state of NC. This website is for sale! equifirst.com is your first and best source for all of the information you're looking for. From general topics to more of what you would expect to find here, equifirst.com has it all. We hope you find what you are searching for! Full service wholesale produce company. Blue Coast Insurance has been serving the residents of North Carolina with their health insurance needs since 1984. It provides a full line of insurance products including individual, student and family coverage, dental insurance, long-term care, and child-only coverage, among others. The firm expanded to Wilmington in 1997 to better serve the customers in the Wilmington, Brunswick County, and Pender County areas. At Southern Bank, our interest is you. Our goal is to make life easier for our customers. We tailor our services to meet your needs and look for ways to help you achieve your financial objectives. Bank Better with Coastal Credit Union in North Carolina. Enjoy a variety of personal and business accounts, HELOC's, loans, mortgages and more. Join today! Carolina Farm Credit offers financing for young and experienced farmers, as well as those buying a rural home or running an ag-related business. HomeTrust Bancshares, Inc. operates as the bank holding company for HomeTrust Bank that provides a range of retail and commercial banking products. Its deposit products consist of savings, money market, and demand accounts, as well as certificates of deposit for individuals, businesses, and nonprofit organizations. The company s loan portfolio comprises retail consumer loans, such as one-to-four-family real estate lending, home equity lines of credit, construction and land/lots, indirect auto finance, and consumer lending; and commercial loans, including commercial real estate lending, construction and development lending, and commercial and industrial loans. It also provides ground and equipment lease financing to fire departments. As of June 30, 2016, the company operated 39 offices in North Carolina, Upstate South Carolina, East Tennessee, and Southwest Virginia. HomeTrust Bancshares, Inc. was founded in 1926 and is headquartered in Asheville, North Carolina. Superior Walls custom foundation systems use precast concrete walls with prefab insulated wall panels in green home construction for a warm, dry basement. Carolina Trust BancShares, Inc. operates as the bank holding company for Carolina Trust Bank that provides various banking products and services for individuals and businesses in the United States. It offers checking and savings accounts; commercial, installment, mortgage, and personal loans; safe deposit boxes; and other associated services. 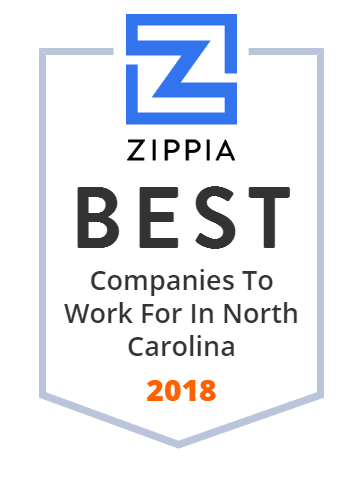 The company offers its products and services through a network of automated teller machines and eight branch offices located in Lincolnton, Denver, Forest City, Gastonia, Hickory, Lake Lure, and Vale, North Carolina, as well as a loan production office in Mooresville, North Carolina. Carolina Trust BancShares, Inc. was founded in 2000 and is based in Lincolnton, North Carolina. M&F Bank is the 2nd oldest minority-owned bank in the United States - 110 years old. Branches in Durham, Charlotte, Raleigh, Winston-Salem, and Greensboro. Full service online banking. Established in 1976, Bland Landscaping Company proudly serves all major markets throughout North Carolina, including the Triangle, Triad and Charlotte-Metro regions.